Sometimes I just get lucky. 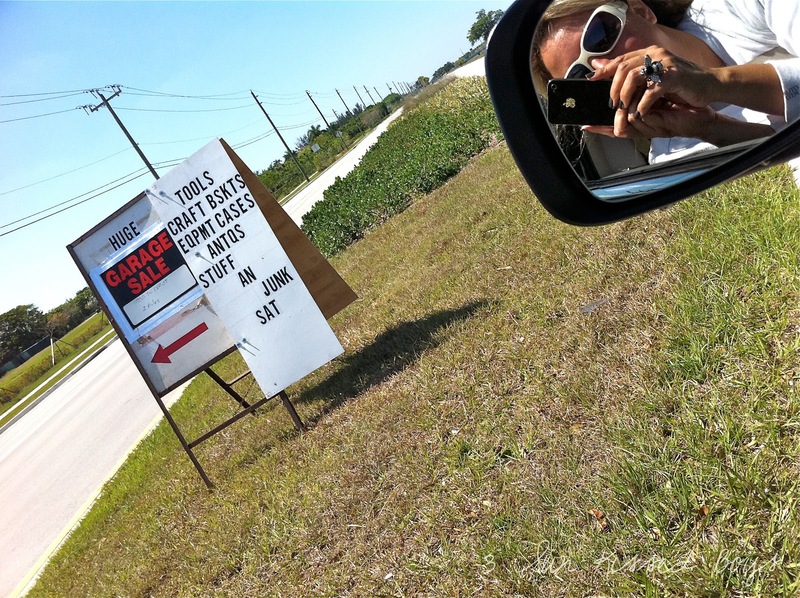 It was an average Saturday morning when I go garage saling and I was driving looking for signs like these. But my heart skipped a beat when I found a sign like this. No false advertising on this sign. Here are some of the junky finds. 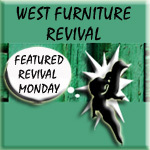 On a different note, I want to thank Lauren of West Furniture Revival for featuring my blog. Thanks again, Lauren. Your compliments made me blush. Of course, I stopped blushing long enough to mention it here. Hey, I can still blush AND show off. I call it multitasking! Be sure to visit back again tomorrow. I'll be introducing another Guest Host. Here's a hint: She makes rust, cool. Any guesses as to who SHE is? How fun! I can't wait till the snow is gone so we can go to sales! Just found your blog today and had to say hello, from another mom of three little boys. score!! I'm so jealous...those jar with the cut out in the top are rocking and I see some fab junk in the bottom of that pile. Sometimes it is the digging that is the most satisfying! So many fun things! 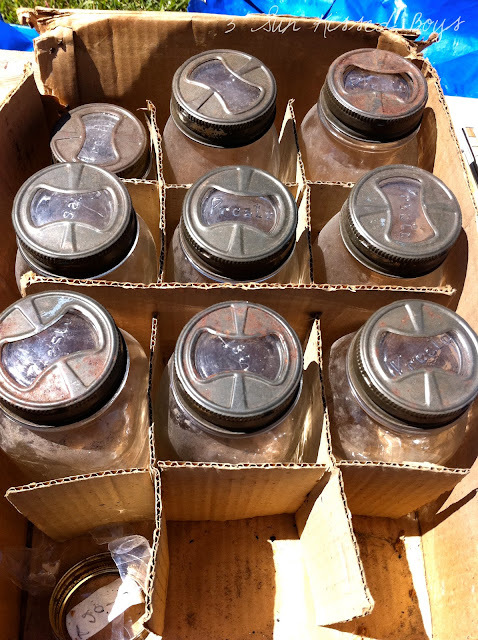 I love those jars. And is that a wooden shoe?!? 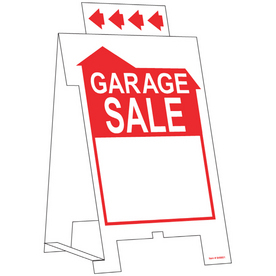 Oooh I am getting antsy to do some garage saling!! Hi, thanks for stopping by. I don't know what cabinet treatment was, but they reminded me of driftwood, they were really nice. Great finds on the garage sale! I love a good garage sale! your projects are great i love them. Love the treasures! What a great place. Congrats on the feature, I am off to check it out. Hi Yanet! Thanks for your nice comments, so nice of you to come by! In answer to your question, yes, osnaburg is a MUCH less expensive option to linen! :) I think it's around $2.50/yd. In the fabric stores, it's usually stocked with the muslins. Congrats on your feature- I need to go check it out now too! You go girl! I am so excited for you to find such neat stuff. 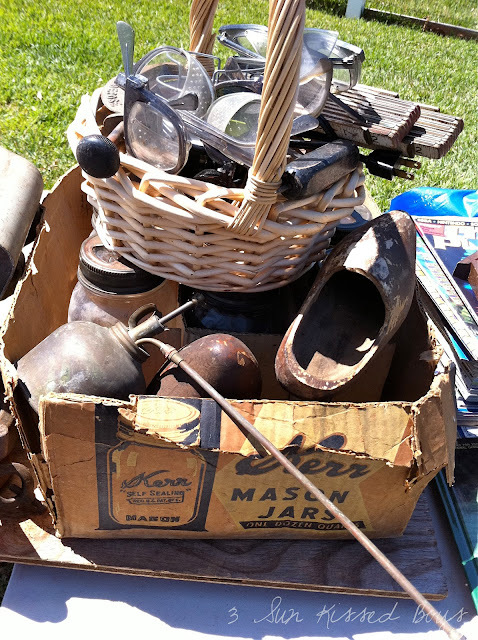 I am ready for some yard saling myself. Wow looks like you got some great items. Love the jars.Congratulations on being featured!! TWO folding rulers? AWESOME! Those jars are pretty sweet, too. 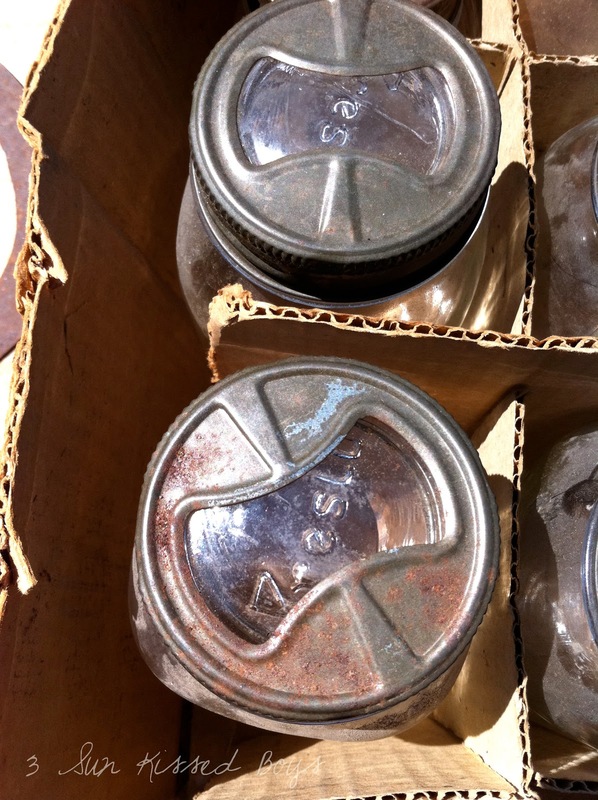 And that oil can! That's the longest spout I've ever seen! What a great haul! I love garage sales! I can't wait for them to start here in OK!